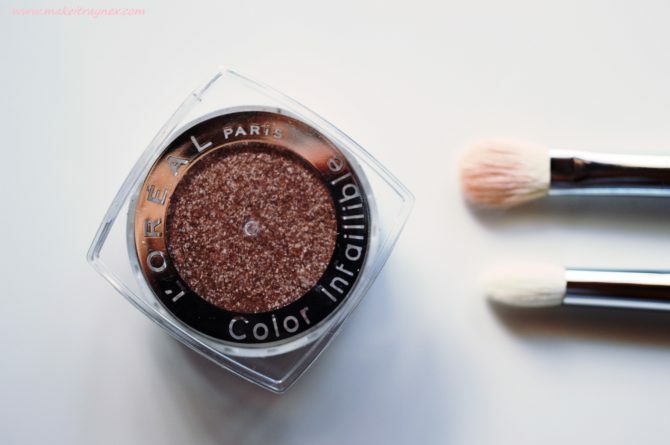 I received this L’Oreal Color Infaillible Eyeshadow in 033 Tender Caramel from my friend Kayla in our International Beauty Box Swap. I am not too sure whether these are available in South Africa yet – at the time of me receiving it (last October) they were not available here but they might be by now. This shadow is part of their Infallible range which is meant to be a range that lasts a full 24 hours once applied. This shadow is ultra intense in colour. Seriously, like WOW. I hope my images do it justice because the colour is fabulous. Kayla sent me this shade because it is her favourite out of the huge array of colours. It is a bronzey taupe colour with a smidgen of pink in there. 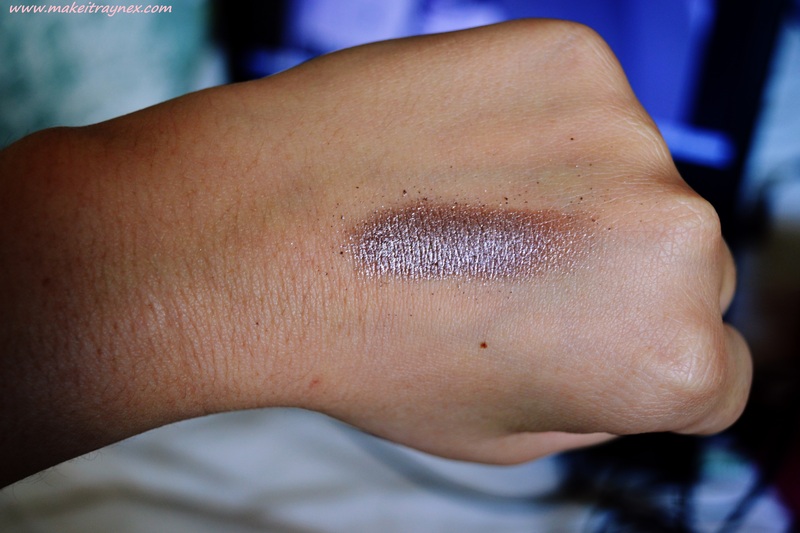 Its a unique shadow in the way that it feels like it has a creamy consistency but it is a very compacted pressed powder. I have used this maybe four times already and it has barely made a dent in the top. This is definitely a product to last a long long time. 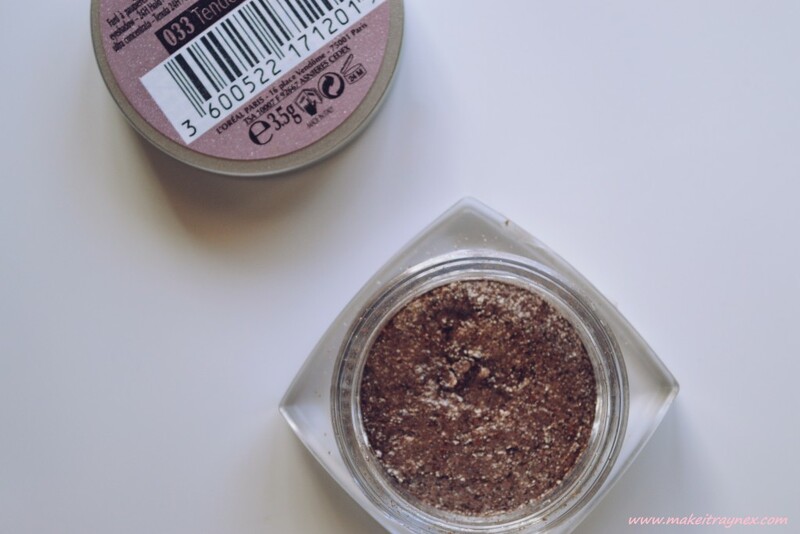 I am not used to eyeshadows with this consistency so I struggled a bit at the beginning but I have found the best way to apply it would be to use a primer before hand, lightly damped your make-up brush, apply a thin layer to the brush, dab the excess shadow off the brush (and back into the pot as to not waste any product) then apply onto your lid. You can see below that the shadow looks creasy on my lids. Something to note is that I have the horrendous misfortune of being blessed with wrinkled eyelids. No matter how much primer and “non-crease” eyeshadow I apply, my lids will always look creased. I didn’t take any images of it but the pot comes with a black “stopper” that separates the shadow from the lid and helps you keep the shadow in place. If you remove the stopper, and the shadow pot jostles around a bit, you will probably be engulfed in Tender Caramel the next time you open the pot! I pretty much stay away from eyeshadow photos where you can see my entire lid because I haaaate my eyelids but just look at that staying power?! I applied my eyeshadow for work at around 7.30 and this image was taken once I got home at about 5pm. 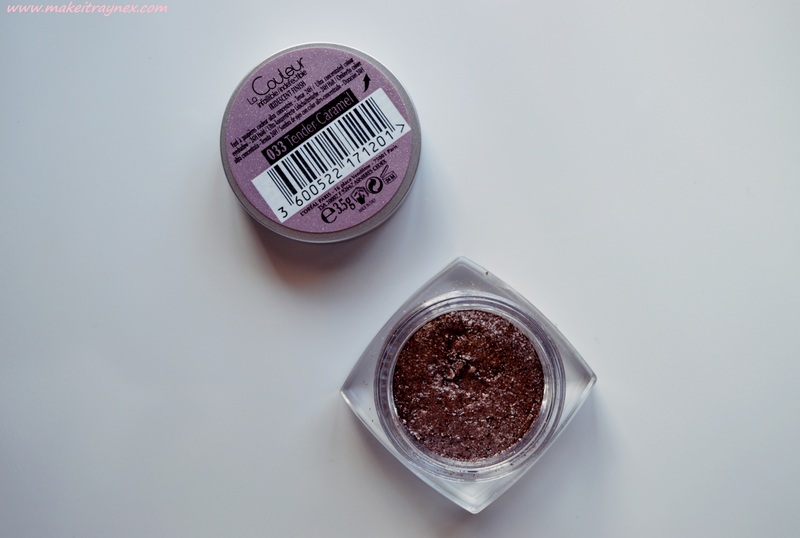 For the purpose of the review this was without eyelid primer and with no other shadows blended. Only the Color Infaillible Eyeshadow alone. 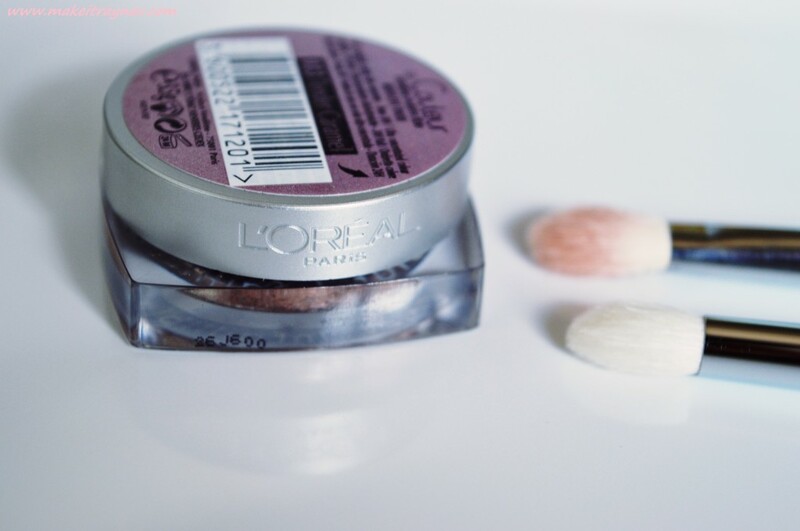 L’Oreal eyeshadows can be purchased at Clicks, Dis-Chem, Takealot, Zando, Edgars, Foschini and many more stores. I will have to come back and edit the post regarding if you can buy it here or not. Price wise, in Canada it is retailing for $10.99.